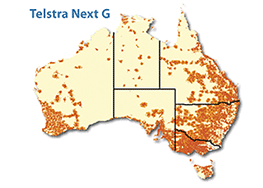 Whilst the 2G network will still be operational for another 2 years, Telstra’s NextG spectrum (3.5G) has a much wider coverage in Australia over 2G. If you are experiencing lags in your Live Tracking data you may be using a 2G GPS tracker in poor reception areas. We have a number of new and updated NextG GPS tracker models which will certainly give you better tracking data and access to additional features over our older fleetminder products. Telstra and other telecom companies have invested heavily in upgrading their 3G / NextG networks in recent years. This means you will get more frequent location data resulting in more accurate trip history and reporting data. Call Allyson Grant at fleetminder on her direct line… 08 6102 4162 to find out more about our NextG trackers.